Never lose hope, keep learning about the work of your interest, learn from the mistakes made during the work and keep improving so that you can be successful in that work. First of all, let us find out what cheating is. Cheating is the phenomenon in which a person goes in a dishonest way to get something. So, it is obvious that it is an unfair thing. Now let us talk why this feeling of cheating comes to our mind. 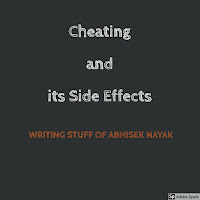 This cheating stuff comes to our mind when we want to get something anyhow or in any manner. Cheating can be of many forms. A student cheats in exams for getting marks. An official cheats in his/her office to get more money. A boyfriend cheats his girlfriend or a girlfriend cheats her boyfriend for his/her selfish reason(s). 1.Interest: You should have an interest in the game. It should not be like that “ oh ! that cool boy is into the sport, I will have to get into that sport to seem cool and then I will be popular. “ or “oh! This game has lots of money, I will have to go for it to become rich. “ You should not go for the game for these reasons. Having an interest in the game means you should be loving the game from your heart, you should be feeling very happy about playing the game and being part of the game. It( having an interest in the game) means that any other thought would not be running in your mind while you are into the game. If these feelings go through your mind while being engaged in the game, then you have an interest in the game/sport. 2.Knowledge about the sport You should know every aspect of the game. You should be aware of everything about the game from its rules & regulations to every moves or tricks required for the game which suits you. Whether Maradona or Pele or Ronaldo or Sachin Tendulkar or may be any other great sports person. All have passed through many struggles. All great sports person have shown great examples of what consistency is. Whether be Pele’s world cup winning performances, his career full of goals more than 1000 or Sachin Tendulkar’s cricket batting records especially his hundred centuries. One of the great characters of great sports persons that they love to guide the players around them. Bigger the players, the bigger is the pressure on their body. Whether be Maradona or Pele or any other great sports person, all have faced some sort of injury which had kept them out of their games in a period of their careers. 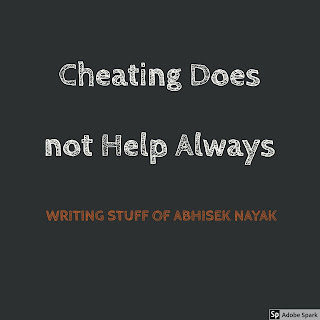 Cheating does not help always and if it does, then it is going to kick you someday. The following is an example of “cheating hitting you on your face”. And this is someone’s real life experience and many people might have faced the same situation. This is how he describes his experience. In an exam, at last, I needed just one question of 5 marks for getting pass marks, but I did not know the answer so I cheated it from the class topper sitting behind me and when the result was out, the class topper got 95 out of 100 and I failed. As you can guess, the answer which I cheated from the topper was wrong and it proved cheating does not help always. That's why, you should not rely on cheating, it is going to fail you someday. 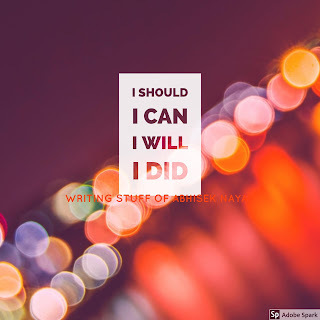 (i)Movie Mode: people get inspired from movie characters and want to achieve the things in their lives the movie character achieved till they (people) see another movie. (ii) Lamb Mode : When anyone does something cool or something got him/her money then the people follow him/her like lambs and they don’t even know, to what destination they are going. 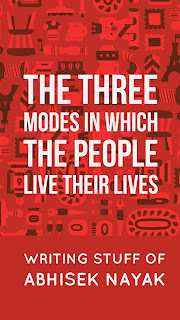 (iii) The Right Way mode: The people in this mode follow their heart, choose their destination and plan through their brains about the steps required to reach their destinations.